Masatoyo Ogasawara Architects is Tokyo based architecture firm. 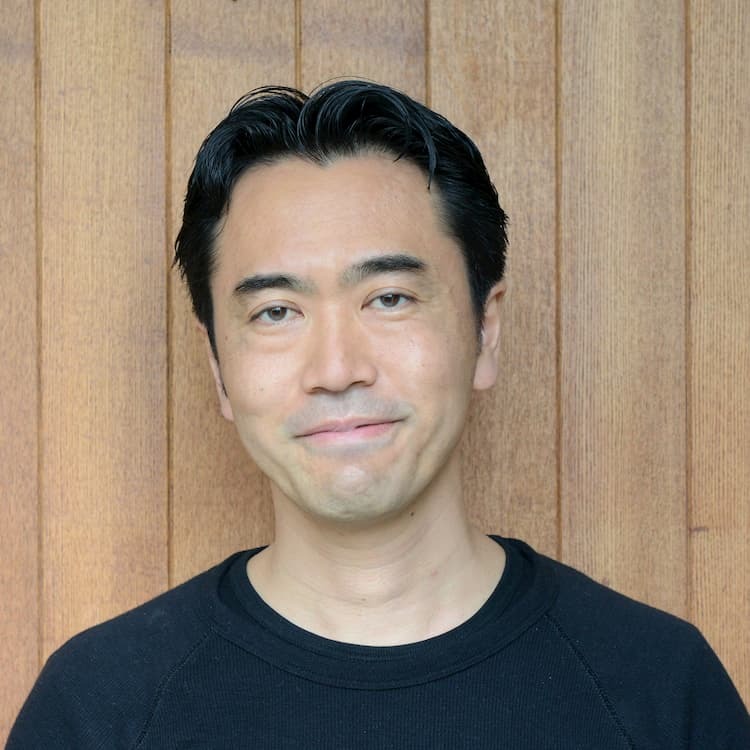 Founder and Principal Architect Masatoyo Ogasawara is Harvard GSD educated, NY trained architect with proven track records of worldwide high-end projects. His recent work includes project architect for the globally renowned master architect I. M. Pei. Types of buildings and projects are significantly diverse from a cozy individual house in Portland, weekend house with the spectacular view of Mt. Fuji, urban Tokyo family residence, a boarding school in Shiga. With rich and in-depth global experience, MOA takes up projects of any scale, type, and location. What we can offer is the diversified options in architecture/design. We provide world-class, high end and diversified options through our architectural services in English with a hint of Mandarin here in Tokyo. Born in 1970 in Saitama, Japan, Masatoyo Ogasawara is US-trained Japanese architect who specializes high-end architecture both residential and commercial. 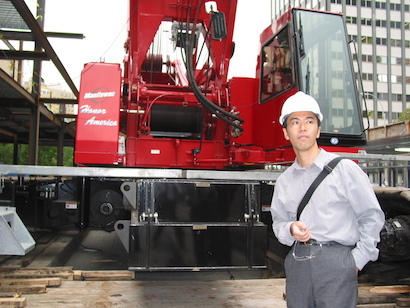 He is the founder of Masatoyo Ogasawara Architects, an architectural firm in Tokyo. 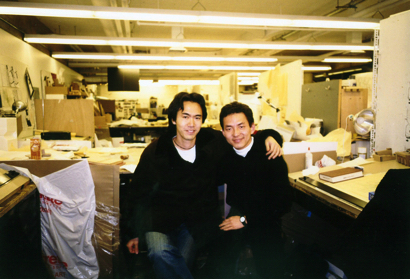 After graduating from The University of Tokyo with degrees in aeronautics and architecture, he decided to further his study and attend Harvard University Graduate School of Design (GSD) where he nurtured his affinity towards the use of authentic materials. 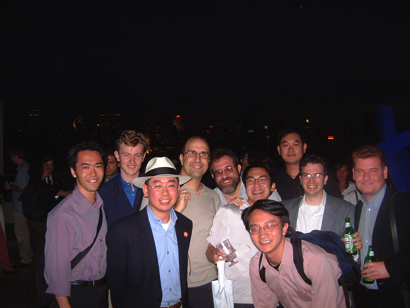 Leaving Cambridge, MA., Masatoyo moved to New York to join the well-established firm, Pei Cobb Freed & Partners. Surrounded by seasoned architects who worked on the high profile projects such as Grand Louvre Modernization (glass pyramid in Paris), National Gallery East Wing (Washington DC), and Bank of China (Hong Kong) with the Pritzker prize winner I.M. Pei, he had acquired many basic yet fundamental skills as a professional. During his years in PCF, Masatoyo was able to work one project in continuity. It is very unusual for an intern to participate the single project throughout. 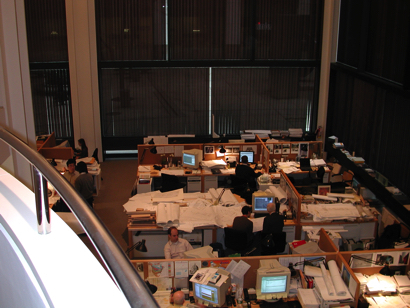 The firm's senior architects valued his hard work and diligence at all times. Masatoyo had spent four years in PCF when he decided to go back to his home country, Japan to pursue his professional excellence. He was content with PCF's work, but there has always been a miss: he was NOT the lead architect who calls the shots. Upon his return from the U.S. after eight years of studying and working, he founded his own firm, Masatoyo Ogasawara Architects. His firm has proven track record of providing not only aesthetically elegant but technologically efficient building/houses. The clientele background is diverse from US/Japanese couple basing Tokyo, Finnish game company, Asian billionaire, Chinese business owner, and so on. It is noteworthy that his clients are predominantly non-Japanese people who own properties in Japan. Masatoyo finished his doctoral thesis and awarded the degree in the fall 2017 from The University of Tokyo. 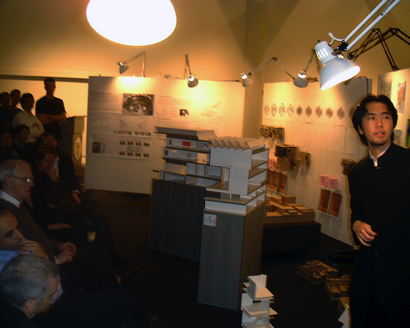 His current teaching engagement includes lecturer at Tokyo Denki University Department of Architecture. I enrolled the three and a half year master's degree program called "MArch I" at Harvard University Graduate School of Design. It was exciting to encounter classmates with various undergraduate academic backgrounds, not to mention their nationality. This extremely diversified environment was another enriching aspect of participating the internationally recognized academia. Soon, I came to realize that somehow I was well equipped to create models and drawings. How to present the case efficiently, however, was another story. I often felt envious as my fellow students went through assignments single-handedly with superb presentation skill. It was a fundamental lesson: presentation matters. At GSD, I felt that Japanese culture, especially architecture (both traditional and modern) was well respected and sought for. Somehow my works were regarded as they see me as "Japanese" for better or worse. Tadao Ando, Toyo Ito, Kazuyo Sejima were well known as architects. So my works were understood within that context. What was different from Japan? What they create, how they make, and why they make were entirely different. What makes things better and its thought process was different. Those differences were significant to me. Moreover, when it comes to a team project, every member had a different level of commitment or its preference. Some students preferred independent tasks, whereas some perform better as a group member. 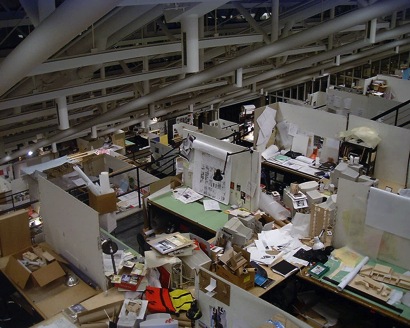 When I think of GSD, I instantly recall myself in my cubicle at Gund Hall, where all GSD students housed and spend most of their time, awake or asleep. Other GSD students who major Urban Design, Landscape and Urban Planning were there, too. This mingling environment had the tremendous influence on me. I learned non-architectural world through hanging out with them. 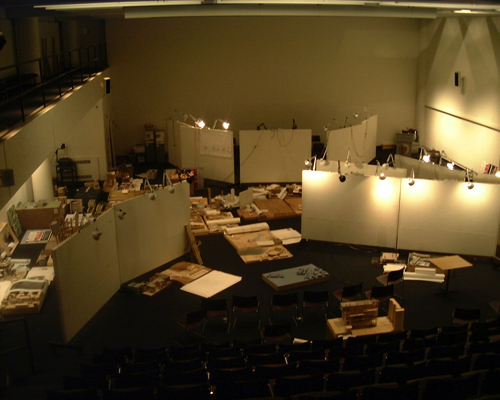 The architect intended to nurture the stimulating environment, both academically and creatively. It also reinforced to strike a conversation as we pass by at the hallways and corridors. I made friends with other students, thanks to this building. Taiwan, Hong Kong, Singapore, and China (mainland) were my close friends' countries of origin. Aside from English, Mandarin was their shared language, so my Mandarin improved a lot as I hang out with them. Their concept of the "world" seemed far broader than I did at that time, as they actively traveled and lived abroad. For some people, non-Japanese might mean "foreign," but to me, Asian countries felt slightly closer than it appeared. Away from the desk and computer, I enjoyed crafting work such as welding the iron and sharpening the wood block. Through these hands-on assignments, the dots between drawings and the actual outcome finally connected. In Japan, materials for the model making are predominantly styrene board (museum board). At GSD, however, paper, metal, woods, anything is possible. Material choices are made as a way to make an eloquent statement, so audiences would understand your concept and what you were trying to achieve. The culture of self-made, I think, has its place in American architecture. Students were very keen on creating with their own hands, hence the various hands-on assignments. Perhaps it has to do with the culture and value of maintaining one's own house. Pei Cobb Freed and Partners, LLP. In 1955, Harvard GSD graduate I.M. 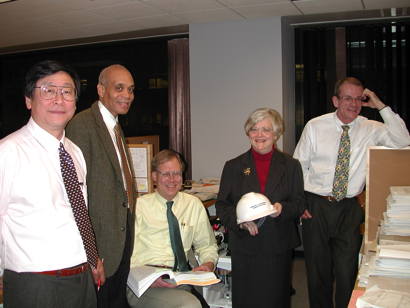 Pei had found I. M. Pei and Associates, which later renamed as Pei Cobb Freed and Partners, LLP, welcoming Henry Cobb and James Freed as partners in 1989. Every year, GSD picks a student who might be a good match with PCF. I was one of them. This "tradition" might have something to do with the fact that Cobb once being the Dean of GSD. I. M. Pei is the Pritzker Prize winner architect widely recognized for his elegant interpretation of geometry into the architecture. His works include the East Building of the National Gallery of Art and a glass-and-steel pyramid of the Musée du Louvre in Paris. Pei's mastery use of high-end materials such as layered stone and glasses transforms simple geometric shape into the monumental masterpiece. Surrounded by the experienced architects with full knowledge of high-end architecture, I felt like a kid in a candy store. Quite literally, archived materials were just around the corner. Master architect's thoughts and architectural intentions, one question away. I was assigned to work with ambulatory care building of Bellevue Hospital in NYC. Luckily, I was part of the team throughout the project, which is extremely unusual for an entry-level employee. While working with the team, I learned a lot from experienced architects. To this day I still consider them as my mentors who tirelessly taught me how buildings are being made. 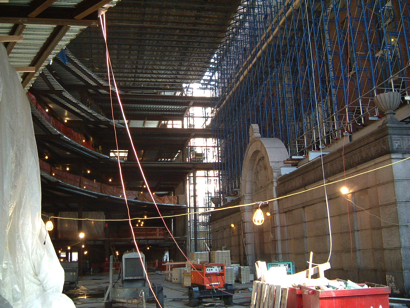 In the US, Construction Document (CD) is prepared thoroughly by architects in detail. In Japan, to my surprise, drawings are not adequately prepared as Construction Document. The detailed design is finalized during the construction. This has to do with the Japan's traditional collaborative nature between contractors and architects. This difference struck me as significant, as I explained to my fellow architects in Japan whenever being asked how US architectural projects proceeded. I have become aware of these differences as I founded my practice in Tokyo, working with international clients, who often had very different views of project management. Eventually, it led me to research such differences, which turned into my doctoral dissertation.